Focuses on ballet and modern/contemporary technique. Opportunities for outside performances and special parts in MDA's annual shows. Occasional workshops, master classes, events, and/or outings which will allow students to be informed, exposed, and challenged in other settings. Academy Program requires students to take two ballet classes and one modern/contemporary class per week. Academy Plus Program includes two additional electives (Jazz, Tap, and/or Hip Hop). Academy Premier Program includes unlimited additional electives (Jazz, Tap, and Hip Hop). Pre-Pointe/Pointe is included at no additional cost. 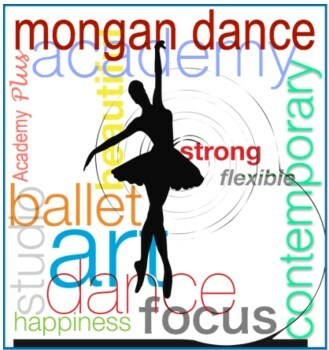 Discounted package prices make the artistry of dance affordable. For detailed information, click here for Academy Program Information and Policies. To submit a registration request, click here then select the Academy Program tab. For additional questions, evaluation, and placement into the Academy Program, please submit a registration request through the link above. MDA staff will then contact you for evaluation and processing. If you have questions, you may email us at MonganDance@msn.com or call at 708-658-6165.